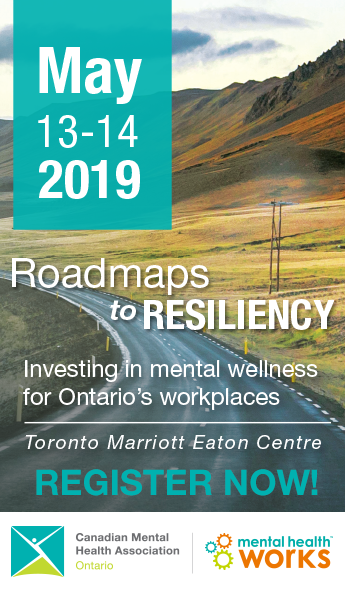 The Canadian Mental Health Association, Ontario is a provincial association, committed to improving services and support for individuals with mental illness and their families, and to the promotion of mental health in Ontario. We have 33 branches providing community mental health services throughout Ontario. CMHA Branches provide a variety of services including case management, supportive housing, assertive community treatment teams, court support programs and public education. CMHA Ontario has provided input on the government’s reforms of the provincial drug system and to the Transparent Drug System for Patients Act. CMHA branches have provided input to our submissions on the basis of their work with the clients they serve, people with serious mental illness. We have been pleased to support much of the government’s plan to reform the system. Access to psychiatric medications is one of the keys to recovery from mental illness for many people. We have identified three points about the proposed regulations. In regards to the proposed amendments to O. Reg. 201/96 under the ODBA, we want to address the amendments to section 12. We also seek to clarify the definition of ‘therapeutic substitution’ in the proposed amendments to Regulation 935 under the DIDFA. We would also like to raise the issue of a lack of reference in the regulations on the structure and criteria for the Citizen’s Council that was proposed in the original Act. The reference to quality of life in addition to outcomes such as efficacy and safety are particularly relevant for people with serious mental illness who are prescribed newer psychiatric medications. Many of these medications provide improved quality of life even though they may be comparable with older medications on the basis of reduction of specific psychiatric symptoms. 2. Proposed amendment to Section 2 of Regulation 935 under the DIDFA. In CMHA Ontario’s May 29, 2006 submission on the original Bill 102, we stressed the importance of ensuring that decisions about specific medications are made by health care providers in consultation with patients. We encouraged the government to re-write the bill to prohibit therapeutic substitution and we were pleased that the final Act clarified that nothing in the legislation permits therapeutic substitution. We recognize that the technical definition of ‘therapeutic substitution’ can be difficult to define for the purposes of regulation. While we support the government’s clarification in the Act, we remain concerned that the current definition proposed in the regulations may be interpreted in ways that may not be beneficial for people with serious mental illnesses. We continue to seek clarification from the government how the Act and its regulations will ensure that decisions about medications are made by health care providers on the basis of what is best for their individual patients. This is a key issue for people with mental illness, as individuals respond quite differently to medications, even those within the same class of drug. As well, the current proposed definition does not define the dosage form. We also remain unclear about the role that pharmacists will play in deciding on interchangeability among different medications. We encourage the government to provide these clarifications so that actual practice under the Act will achieve the government’s stated goal of ensuring that people have access to the drugs that are right for them. CMHA Ontario supports consumer and patient involvement in drug funding decisions. We were pleased to see the inclusion of the Citizens’ Council in the final Transparent Drug System for Patients Act. We would expect to see details regarding the Citizens’ Council in the regulations. Currently, there are no guaranteed guidelines regarding the composition of the Council, how representatives will be selected and how they will be accountable and transparent in their processes. As we noted in our submission on bill 102, this is an important issue for people with mental illness. Too often people with mental illness are excluded from decision making processes and not allowed to speak for themselves as a result of stigma and discrimination. We encourage the government to include guidelines on the specifics of the Citizens’ Council in the regulations and to work with CMHA and consumer-run mental health organizations in developing those guidelines.